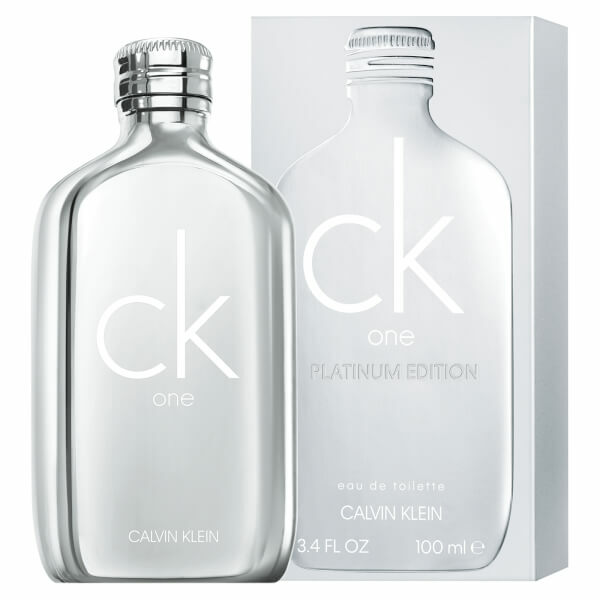 Calvin Klein CK One Platinum Edition is a powerful and dynamic eau de toilette that encapsulates youthful optimism. 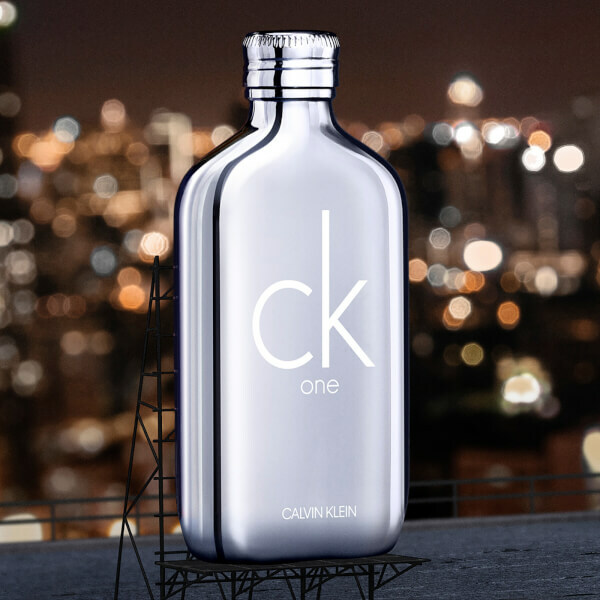 A new expression of CK's iconic fragrance, the EDT is both cool and warm, soft and bold; it delivers a bright and vibrant olfactory experience centred round a peppery, spicy heart. Fresh Green Apple meets aromatic Cardamom before diving into a warm heart of Pink Pepper and Cinnamon. Sensual and alluring, the woody fragrance settles on a base of Cashmere Woods and Vetiver. 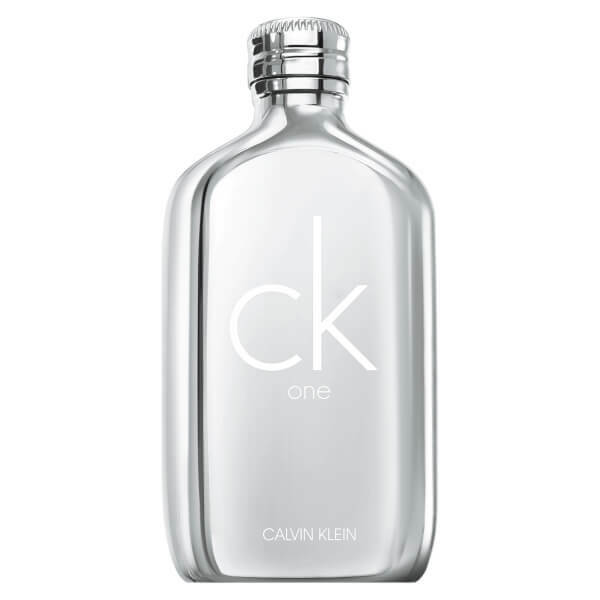 Housed in a platinum-coated bottle as a futuristic statement of modernity and individuality. Top Notes: Green Apple, Cardamom, Modern Aldehydes. Heart Notes: Pink Pepper, Red Cinnamon, Lavender Seillans. Base Notes: Mineral Amber, Cashmere Woods, Vetiver.